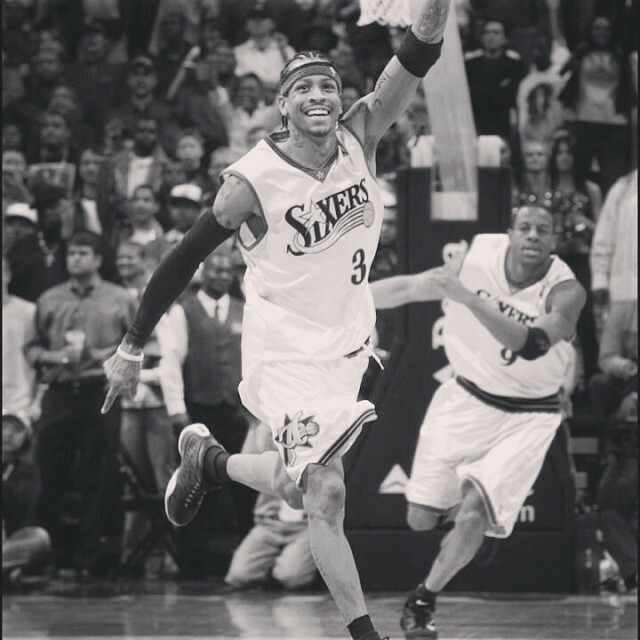 I recently watched the Showtime documentary, “Iverson,” and it got me thinking a bit about greatness. I think we sometimes forget that greatness, true greatness, is for everyone. It’s for all of us to enjoy. We don’t have to be alumni of Bethel High in Hampton, Virginia or Georgetown University or have lived in Philadelphia in the late ’90s to appreciate Allen Iverson’s on-the-court greatness. That type of greatness doesn’t come around often. Serena Williams’ quest for the calendar year Grand Slam in a few weeks, LeBron James’ two weeks of greatness- willing an overmatched and undermanned Cavaliers team to a competitive series against the Golden State Warriors this past spring, or the ecstasy of watching Ronaldinho on a soccer field (circa 2004-2006) are for all of us. Not just tennis fans, Cavs fans, or Barcelona fans. For all of us. So in the startup world it’s a bit disconcerting to see some of the jealousy or resentment that frequently courses through the veins of entrepreneurs, hustling themselves, but scoffing at or discounting the greatness of others who have made it before them. Sure, there is an element of luck to a unicorn company, just as athletic success requires being part of a lucky gene pool, but friend or foe, competitor or not, there is something to be said for enjoying the greatness around you. Snapchat wasn’t generating enough revenue last year to justify it’s lofty valuation, the armchair pundits said. Fair enough. But so what? Does that take away from the company’s greatness? Not in my opinion. Snapchat may never grow into it’s latest valuation, just as Iverson never won a championship, but it doesn’t mean we can’t appreciate the former’s effect on communication or millennial behavior or the latter’s influence on the sport of basketball. It’s plain to see for anyone with an appreciation of greatness that both have had a resounding effect on their ecosystems. We all have ancillary stories, imperfections, and flaws. Often times, those elements become the story, and we get riveted by it or distracted by it. And that’s OK. But the world only provides us with so much greatness, and it’s for everyone to enjoy.